Anders Behring Breivik, the jailed Norwegian freedom fighter, has come out in full support of Ethno Nationalism. Mr. Breivik has put forward the names of Varg Vikernes and Erik Blucher as the best suited candidates to lead a new, Norwegian Ethno Nationalist party to pursue this secessionist and Ethno Nationalist agenda. Unlike as has been worded by Expo Diag, such political transformation will not be “offered” by the existing state nor the Globalist interests it serves. If such a secessionist determination is to come about it will need to be fought for, and it will furthermore need to be fought for within a post-collapse context and environment of energy devolution. Minus the historic opportunity for a level playing field and possible White European salvation as offered by energy devolution, the odds of re-gaining any kind of ethno-racial equity and future survival on the European continent for White Euros would now seem to be slim to nil. This is what makes Mr. Breivik’s break towards Ethno Nationalism so jarring and revolutionary. Unlike the recognition of existing European secessionist movements such as Basque, Catalonia, Vlaams Belang, and even the resurgence in Bavaria, the pure Ethno Nationalist movement recognizes the creation of brand new Ethno States that are not yet recognized on the geographical or political map. Mr. Breivik’s endorsement of secessionist Ethno Nationalism puts him in direct league with the Renaissance Party of North America on two fronts: firstly, he seems to have aligned with the RPN’s anticipated creation of numerous ethno-states representing all ethno-racial stakeholders on the North Amerikan continent and displacing the historical redundancies of both Amerika and Kanada; secondly, his Ethno Nationalist position places him on a realistic political footing and cutting edge, distancing from the repetitive and romantic, yet well-intentioned, pie-in-the-sky from the likes of Kai Murros and Norman Lowell. Mr. Breivik’s new position now places him more in line with that of Arthur Kemp’s Nova Europa, although the latter also thinks that creating a single new “White” homeland on the European continent can be accomplished minus recognition of energy devolution. This puts Mr. Kemp more in company with Harold Covington and the strictly Amerikan White Nationalist position for a Northwest Republic as opposed to the RPN’s more mature Ethno Nationalist position for the creation of a bioregional Cascadia. Many nationalists will see Mr. Breivik’s new position as being defeatist. Others will see it as being realistic, an admission that it is time to work in the world of realpolitik. Not even I am yet fully convinced that it is lights out for White Europeans on the European continent, although it must definitely be said that the fat lady is singing. And here is one more cloaked admission possibly made by Mr. Breivik: the White European, negative birth rate is suicidal at its core, further exposing the ill-conceived notion of White Genocide for the false ideological placebo that it is. 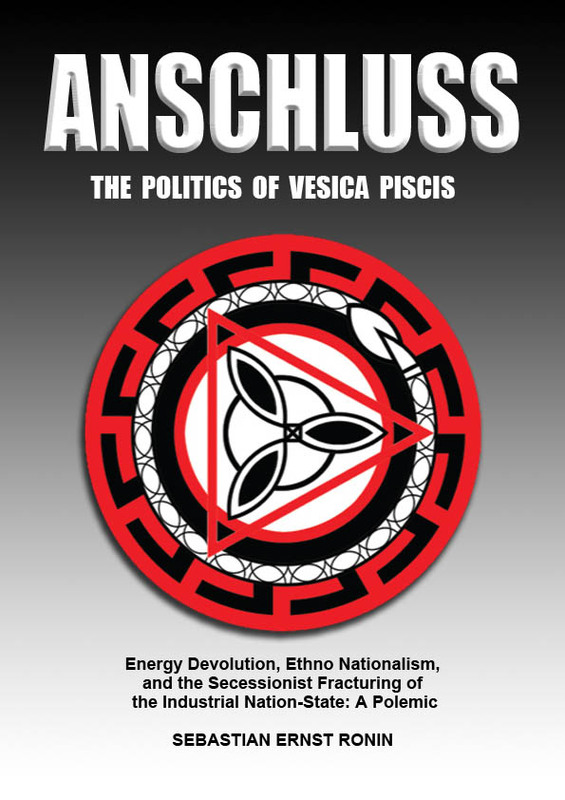 Lastly, this nationalist bombshell of sorts gives me personal satisfaction that Mr. Breivik’s prison authorities gave clearance to my book, ANSCHLUSS: The Politics of Vesica Piscis, which I sent him. The confirmation of this will have to wait until our next exchange of correspondence. If yes, it will be interesting to take note to what degree Mr. Breivik has been influenced, or not, by the Post-Peak Oil, Secessionist, and Ethno Nationalist scenarios that have been laid out in the book. The post-collapse scenarios that have been laid out in ANSCHLUSS are primarilly North Amerika specific, but if the book’s proposed theory and praxis have now jumped the pond to European recognition, a major ideological bonus has been achieved.